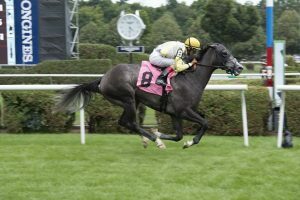 Ascend and Sallal both won nicely on Saturday at Saratoga and Laurel respectively for trainer Graham Motion. 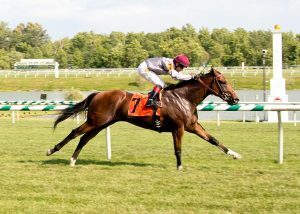 Sallal (GB) made his U.S. debut for Al Shaqab Racing in an N3X Allowance Race at Laurel Park on Saturday, July 23rd. He broke a step slow, loomed up on the outside, swung four wide, and exploded down the stretch. He earned a 90 Beyer and 3 Thoro-Graph and looks like a real threat in Black-Type races next out. Sallal is managed by BSW Bloodstock on behalf of Al Shaqab Racing. Ascend started the day at Saratoga in an N2X Allowance Race on opening weekend. He sat third throughout most of the 1 1/16th Allowance race, swung three wide at the top of the stretch and ran down the two front runners to pull away and win by two lengths. He ran an impressive career best 96 Beyer. An interest in Ascend was purchased last month on behalf of Madaket Stables, LLC and he is owned in partnership with Stone Farm. Congratulations to all connections! We are looking forward to both of them stepping up into Stakes races next out.